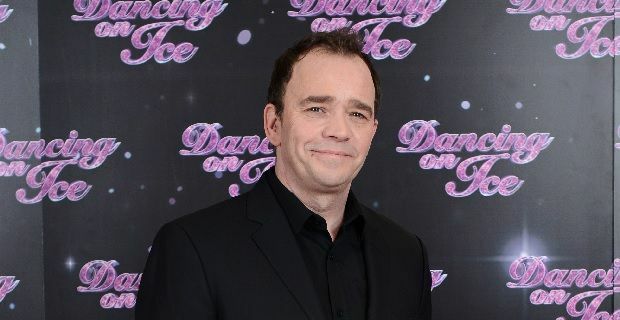 Having seen all fourteen contestants skate over the past fortnight Dancing on Ice had whittled it down to the final ten and all were to perform in the third show of this, the final series. With ten performances to get through it was fast and furious. Up first was Suzanne Shaw who closed off last week’s show with an impressive performance so the pressure was on. With a score of 31 out of 40 it was good but she scored higher last week. Given this is the champion of champions all of the contestants need to be at the top of their game. Sam Attwater, having scraped his way through the skate off last week, also scored 31 – this is certainly going to be a close series. Zaraah Abrahams gave a reasonable skate to Miley Cyrus’ We Can’t Stop and missed out on a hat trick of 31 scores by only gaining 30! She was well praised by Robin. Bonnie Langford followed but only managed a 28 out of 40. Garth Gates failed to impress this week with a poor performance and Jason was harsh. His score reflected his performance and he found himself towards the bottom of the leader board. To the opposite end of the skating skill spectrum Todd Carty came out in a boat but is a little out of his depth competing against previous champions. It is astounding he made it past his first skate but he made it through and did his best but with a score of only 12 from the combination of the four judges scores he was certain to be getting his bag at the ready by the end of the main live show. Kyran Bracken gave a good technical skate but Jason wanted to see more choreography with his partner. He should have been happy with a score of 33 but no doubt was hoping he would get a chance to perform again given the stiff competition for a place in next week’s show. Hayley Tamaddon closed the show with a jazzy performance with her partner Dan. Hayley gave a great performance but is wasn’t quite enough to knock the leaders off the top with a score of 32.5. With only 45 minutes for voting it was again fast and furious and one celebrity was to hang up their skates after the two with the lowest votes battled it out with a skate off. Unsurprisingly Todd Carty was in the bottom two but it was a little surprising Zaraah Abrahams ended up with him. Zaraah was up first to Diamonds and Pearls with Todd skating to Help! (something he clearly needs with his skating!). Over to the judges to decide and unsurprisingly Zaraah secured her place in next week’s show with Todd saying goodbye and hanging up his boots. Tune in again next Sunday night ITV1 at 6.15pmto see the next round of skating and a special performance from Jane Torvil and Christopher Dean. Another celebrity will exit the ice but don’t worry if you miss it – catch up on all the action on Excite UK.